Official Trailer For TRENCH 11 Is Within! RLJE Films will release the horror film TRENCH 11 on Digital and DVD this September. Directed by Leo Scherman who co-wrote the film with Matthew Booi TRENCH 11 is a WW1 Horror flick and the official trailer can be viewed down below. TRENCH 11 stars Rossif Sutherland, Robert Stadlober, and Charlie Carrick. 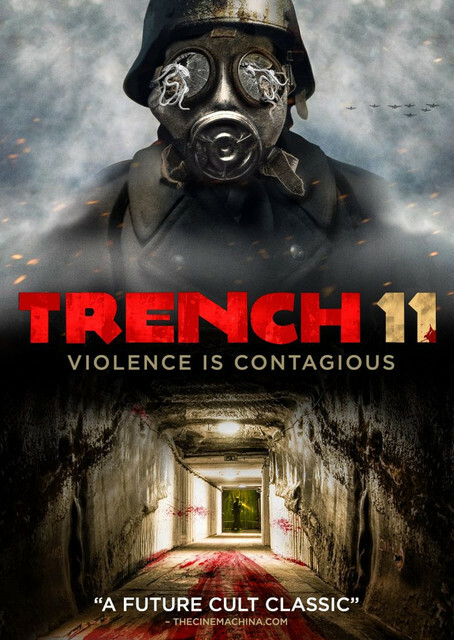 "In TRENCH 11, a highly contagious biological weapon, created by German forces in WWI, is discovered by Allied troops as they explore an abandoned underground bunker. Realizing they need to contain and destroy the threat, their mission becomes a fight for survival when one of their own is infected by the deadly parasite and begins to violently attack them. The soldiers now need to not only save themselves, but must stop the outbreak before it spreads to the rest of the world." TRENCH 11 comes to Digital and DVD on September 4, 2018.